The white luxurious look of marble can be appealing to almost everyone, but besides this it is cool and quite durable just like the granite. It’s smooth and cool surface is loved to be seen in many baking center. 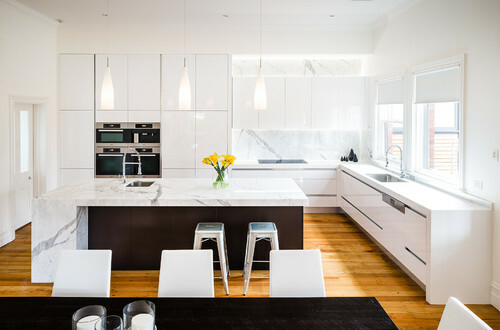 We will help you to decide that whether marble is suitable for your countertop or not by telling you it's pros and cons. 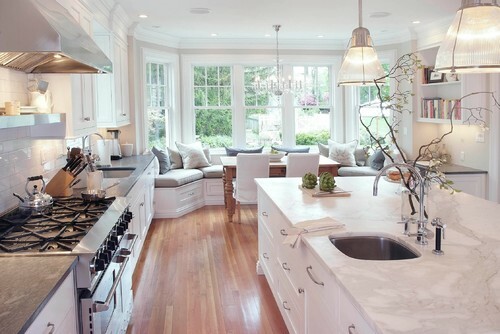 Marble countertop increases the beauty of your kitchen with it's mavelous and luxurious look. Every slab has different texture and design which gives your countertop a unique look. It is available in many different colors like black, white, rose, yellow, gray and green. 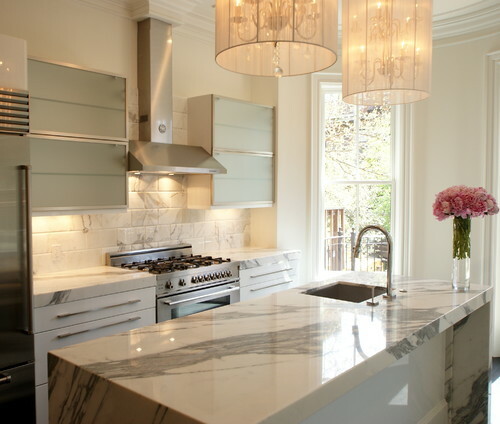 Marble is a quite durable countertop material if proper care is taken and it is maintained well. Marble should be sealed twice a year atleast. Marble is less durable than granite. Marbles cool surface is used in baking centers as it does not conduct heat and is therefore used to make pastries. Marble can easily take the heat from hot pans and pots, but still many people recommend using mats and trivets under the hot utensils. Placing hot pans can discolor the countertop color over time and sometimes it can crack the surface, so it is advised to use some pads or stands underneath it. They are available in almost all stone yard's and thus it is easy to find unlike quartz. You can pick from the stone yard which offers you the best quote and quality. Get quotes from alteast three retailers. Marble is costlier just like granite but don't hesitate to choose them as they are quite durable and will give your kitchen a luxurious look. The average price of marble is $125 - $250 per square foot. Marble is not that resistant to scratches so it is advised to use a cutting board while chopping, cutting and dicing things. Marble often chips, cracks and scratches easily and that's the reason why manufacturers don't give warranty for it. Though most of the scratches can be repaired easily at home only, but for some scratches you will need help of a professional. Well if you have kids in your house who spill drinks like lemon juices, red wine or oil then it is advised not to go for marble as it can be stained easily and they are permanent. Marble also gets stained if water is spilled on the surface but the stain will disappear when the water evaporates. You can use sealers to protect your countertops from staining but the countertop must be sealed twice a year. Marble needs moderate maintenance apart from the extra precautions that needs to be taken while working on them like preventing citrus drinks from spilling and not to use sharp objects like knives. 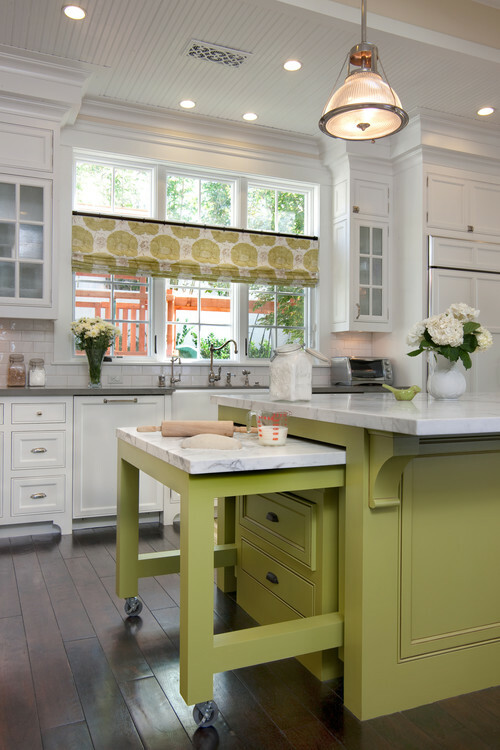 Marble countertops should be sealed atleast twice a year to protect it from staining. Do not hit the countertop with any heavy object as it can crack easily.